(IDEX Online) – During the Intersessional Meeting of the Kimberley Process which took place from 18 to 22 June in Antwerp, the Central African Republic made substantial progress with the European Union Chair Hilde Hardeman and South Africa, Chair of the Working Group of the Monitoring Team, the CAR said in a statement. 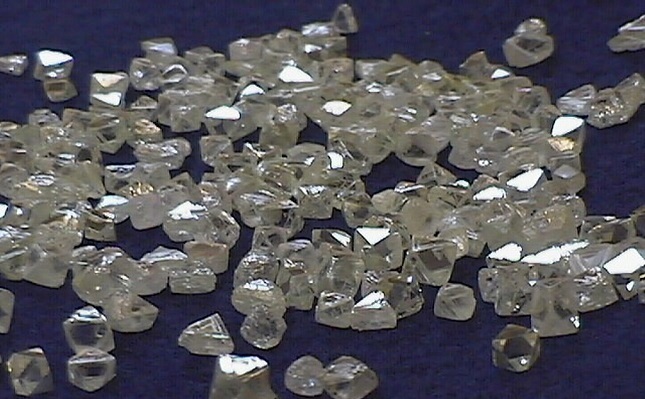 Notably, the Monitoring Team of the Central African Republic has agreed on shorter clearance deadlines for the export of diamonds. The approval procedures in the CAR must now be concluded within 7 days while still securing compliance with the Kimberley Process. Manese further noted that all parties involved will have to strictly adhere to these procedures. The CAR Delegation was reinforced by the presence of Peter Meeus, special advisor to the President and to the Minister of Geology and Mines, whose mandate is to assure proper due diligence processes within the CAR mining sector. This mandate was conferred to him with a presidential decree dated June 2, 2018. The Minister of Mines and Geology also indicated his willingness to host an Expert Mission in the CAR so that the controls that have been put in place in the country in compliance with the Kimberley Process can be properly assessed. The Central African Republic will continue to improve compliance with the Kimberley Process in close collaboration with the EU KP Chair, South Africa who leads the Monitoring Working Group as well as with the United States which leads the CAR Monitoring Team.